I love metaphors. Pictures that speak a thousand words. Images that grasp the nuances of life, the richness of details in three and four dimensionality. I use a lot of them in my work. I invite clients to develop their own. One of my favorite metaphors is a picture of the front window of a car…splattered with bugs. Not what you were expecting, eh? (No, I am not Canadian, but l love writing and hearing that “eh” so much more than our version…”huh?”)…Stay with me. When you go on a long trip in your car, after a few hundred miles your front window usually starts to look pretty dirty…smudged with the traces of bugs whose demise was made possible by your speeding vehicle. At this point, as a responsible driver, you often make a decision to clean off the bugs. You pull over for gas and use one of the window cleaners provided. You get back into your car and you are amazed how clear everything looks! You had been so accustomed to seeing through your glass darkly…the contrast is brilliant. Or, maybe you don’t make a habit of cleaning off your window. You wait and wait and then as you are driving down the road you think you see something out of the corner of your eye so you swerve the car attempting to miss the object. In the process you almost hit the car beside you and put everyone with you at risk. Then you realize…it wasn’t an external object or car or person at all…it was a dead bug splattered on your very own car window. You almost caused a huge accident because you are driving with a dirty window. It isn’t anything on the OUTSIDE of your vehicle causing you danger. It is on your vehicle itself. When I was a new mother I was more than a little insecure about the opinions of others on just about everything regarding my parenting…specifically my MOTHERING. Despite how far we have come in the pursuit of gender equality mothers are still handed the weight of responsibility and reputation when it comes to their child’s well being. If things go wrong…in any way at all…many people still glance towards the mom. Maybe she didn’t breastfeed long enough. Or too long. Or not at all. Or tried a mixed methods approach…supplementing nursing with formula. Or, if she used bottles maybe she used plastic instead of glass and exposed her son or daughter to BPA or other estrogen mimicking chemicals that will lead her daughter to early puberty, her ultimate sexual demise and her early impregnation…and the destruction of her dreams. Ok, so, yeah, anyway, read enough pop parenting literature and it seems like some decisions moms make are a pretty big deal. Add my “third wave” feminist tendencies into the mix and you have a pretty edgy, twenty-something mom on your hands. When my oldest daughter was two and my second daughter was born we lived in Prague. In addition to other pastoral responsibilities we led the initiative of a few ministerial interns who lived in Prague for one year…sometimes with us in our apartment. We experienced culture shock with these young people, did church together, ate together, celebrate birthdays and holidays together…we were family. I was still growing into this new role of mother in a city where I had few friends with children, where we had no car, and getting across town with a newborn and a toddler meant hoisting the stroller up onto a tram. I loved it. I was birthed into a mother out of two of my favorite places on earth: California, where my first child was born…and Prague. Women breastfeed their babies openly in Prague, but I still had misgivings about doing it when we were out in public. Without a car in which to sit or many convenient bathrooms in which to hide, when your baby gets hungry and you are out in the city…you feed her. That’s just what you do. One time we were out with our ministerial intern friends and I needed to feed my baby. So I did. As always I tried to be discreet. I was covered. I happen to look up and this is what I would have SWORN to you that I saw. I was just CONVINCED that I saw two of the male interns rolling their eyes and talking about me feeding my baby. I was certain of it. You could not have convinced me otherwise. I fumed all the way home. I marched that letter up to my dear friends. I left it for them at the door of their flat. Of course, you know how this story ends. Maybe you’ve experienced this story yourself. One of my dear friends who read the letter came and talked to me…hurt, angry. He let me know that he had NEVER thought anything about me nursing my baby at the restaurant. Ever. I was confused…I just KNEW I had seen something in their exchange that was about ME. I just KNEW they were disgusted with the public feeding of my baby. I just KNEW it. I had SEEN SOMETHING. Just like a bug on the window. It was a painful, painful, painful experience and one I will never forget. I apologized sincerely. I was and am still so sorry I reacted that way. Sure, I was a young, exhausted mother in a foreign country. I know that there are a lot of reasons to give myself grace in that situation. And, I do. Still…I will never forget the SURETY I felt at what I had seen…and just how WRONG I was. This verse is expressed in the context of the famous love chapter. We see through a glass darkly. We do not know one another fully. We love and know one another through a glass…darkly. We love and know one another…and ourselves…through a glass spattered with bugs…residue from past hurt and pain. I just don’t trust my perceptions of what people are saying to me anymore…especially if I my perceptions are negative. I know I SEE THROUGH A GLASS DARKLY. I just can’t trust my reactions. I have to check things out. I have to have conversations. I have to get closer. I have to take time to clean my window. There is a difference between discernment and paranoia. There is a difference between intuition and egotistic surety and suspicion. This gets incredibly tricky when you throw social media into the mix…and texting and emails and all forms of electronic communication. We can read so much into a text, tweet, email, facebook post, etc. I have heard people be completely CERTAIN that something was being said (just like I was CERTAIN in Prague) and I know from other information that they are WAY off base. Be careful. Too often the one who is bullied can become the one who bullies. Let’s change that to…the one who THINKS they are being bullied can become the one who bullies. I was a bully with my letter writing to my dear friend. I bulldozed right over him with the intent of putting him in his place. I thought I had been bullied…and I became the one who bullied. But, I was never bullied in the first place. I just thought I was. Be intentional. Check things out. If you think someone is being mean to you and you are investing too much emotional energy into the situation consider having a conversation with the person…IN PERSON. Since my experience I have made it a habit not to confront anyone via email, facebook, texting, or tweet. There is too much to be communicated through eye contact and body language. Work on cleaning your window. 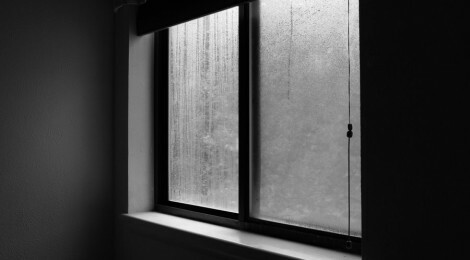 This starts with realizing your window is dirty in the first place…realizing that you see through a glass darkly. Our glass…our window…will never be completely clear here on earth. However, that does not give us an excuse not to do the work of gaining clarity. Do the hard thing of working through past pain. Do the hard thing of realizing you have cultural bias. Even if you and I both are white, middle class women your family has a different culture than my little family! We carry our cultural bias around with us. It is part of what makes the glass through which we see dark. What makes your glass dark? What bugs are splattered on your window from your journey? What past pain, past relational hurt causes you to interpret the actions of others as one thing…when that one thing is not TRUTH. The single most significant way you can clean up your glass is by being in relationship with others….with your Savior, of course…but also with His body…the people that make up His church. Your relationships with others can help you grow and learn about yourself and help you to SEE…face to face. That is pretty much what I do in a lot of work with people. I’m a mirror. When we are in relationship with Christ…and His body…they serve as a mirror to us…helping us SEE the bugs that need to be wiped away. I dare say that cleaning your window is impossible outside the context of relationships. And, that’s hard…because it is a dirty window that keeps us from entering into relationships in the first place. Because we just KNOW that person doesn’t like us, that person thinks this about us, that person believes this about such and such,……. Please, please, please…don’t count on it. Great post Emily, really hit home for me. Thank you, Megen. Something I’m still working on…I guess we all are!